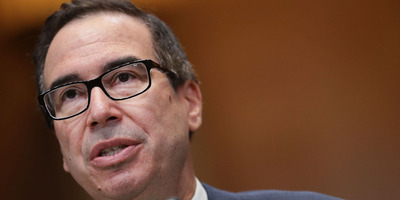 Treasury Secretary Steven Mnuchin said he will still attend the Future Investment Initiative conference in Ridyah, Saudi Arabia despite the disappearance of journalist Jamal Khashoggi. Reports suggest the Saudis were responsible for the disappearance and alleged killing of Khashoggi. Numerous business executives and media companies have pulled out of the event due to the Khashoggi disappearance. “If more information comes out and changes, we could look at that, but I am planning on going,” Mnuchin said. Treasury Secretary Steven Mnuchin said he will still attend a major business conference in Saudi Arabia despite the disappearance of journalist and prominent Saudi critic Jamal Khashoggi. During an appearance on CNBC, Mnuchin was asked whether he planned to attend the Future Investment Initiative conference in Riyadh, Saudi Arabia, despite reports that the country was behind the disappearance of Khashoggi. Khashoggi was last seen entering the Saudi consulate in Istanbul on October 2, and Turkish officials allege that the journalist, a contributor to The Washington Post, was killed. Reports claim that Saudi officials were responsible for the death of Khashoggi and that Crown Prince Mohammed bin Salman ordered an operation to lure Khashoggi back to the country. The Saudis have denied the allegations. Following the reports, many major businesses executives announced they would not attend the event, nicked “Davos in the Desert” due to Khashoggi’s alleged killing by Saudi Arabia. Those who dropped out include Uber CEO Dara Khosrowshahi, HuffPo founder Arianna Huffington, and Viacom CEO Robert Bakish. Media partners for the event including The New York Times, CNN, and Bloomberg have also pulled out. The FII conference is an extension of Saudi Arabia and bin Salman’s desire to attract international investors to the country as part of its Vision 2030 plan. The crown prince has courted international businesses and celebrities ranging from former Goldman Sachs CEO Lloyd Blankfein and Amazon CEO Jeff Bezos to Oprah and Dwyane “The Rock” Johnson in an effort to improve the image of Saudi Arabia.